Home » Blog » Articles » What is BB93? Building Bulletin ’93 ‘Acoustic Design of Schools’, commonly known as BB93, provides constructional standards for acoustics in new school buildings to guide architects, acousticians, building control officers and building services engineers through the process of the acoustic design. BB93 has had a significant impact on the design of new education buildings and refurbishment work in existing schools, but it is an unfortunate fact that many classrooms in the UK still suffer from poor acoustics. Problems include noise transfer between rooms and reverberant classrooms, external noise sources and impact sound. 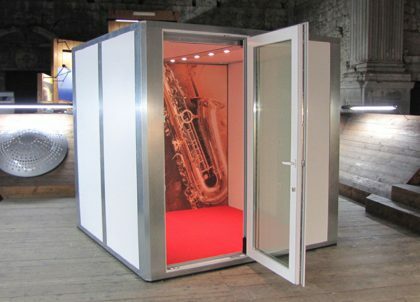 Achieving good acoustics in the classroom which is also industry compliant can be a complex and boundless task; while the individual needs of a musician or performer can vary according to their individual discipline. Amadeus’ acoustic consultants have created tailored solutions for both new and existing schools throughout the UK, providing project assistance to ensure compliance and meaningful acoustic design, and creating more ambient noise levels for teachers and pupils. Our thorough understanding and experience of BB93 compliance – including performance standards, acoustic principles and calculation procedures – means we can ensure your new build or school refurbishment will gain the best possible acoustic result. The Department for Education website explains Building Bulletin 93 (BB93) and minimum performance standards for the acoustics of school buildings. Our Finton House School case study about the construction of 3 modular music rooms and acoustic treatment at the school in Wandsworth, London. If you would like to take advantage of our years of experience in this area we would be happy to discuss your requirements; contact us or speak with a member of the team on 01424 775 867.